I first saw Ben Okri in a photograph that the Africa Centre had sent me back in 2000 to accompany an interview with the first Caine Prize winner, Leila Aboulela, which I published later in Egypt. In that photo, Okri was congratulating Aboulela with a warm smile and a pat on the shoulder. Some months later in Cairo, a used copy of The Famished Road in a bookshop on the famous Road 9 caught my attention. I picked it up only to find out who this Ben Okri was; after all, the best way to know a writer is to visit the place where his creative mind is revealed. Ever since, I have been on the road. One day last month, this road brought me to the British Library for Ben Okri’s sold-out lecture “Meditations on Greatness” as part of the Africa Writes 2015 festival. As a writer with an extraordinarily ‘great’ literary career (author of ten critically acclaimed novels, winner of the Booker prize, awarded an OBE for services to literature), I assumed that the title referred to his own ‘greatness’ and that Okri was invited to meditate on his journey. 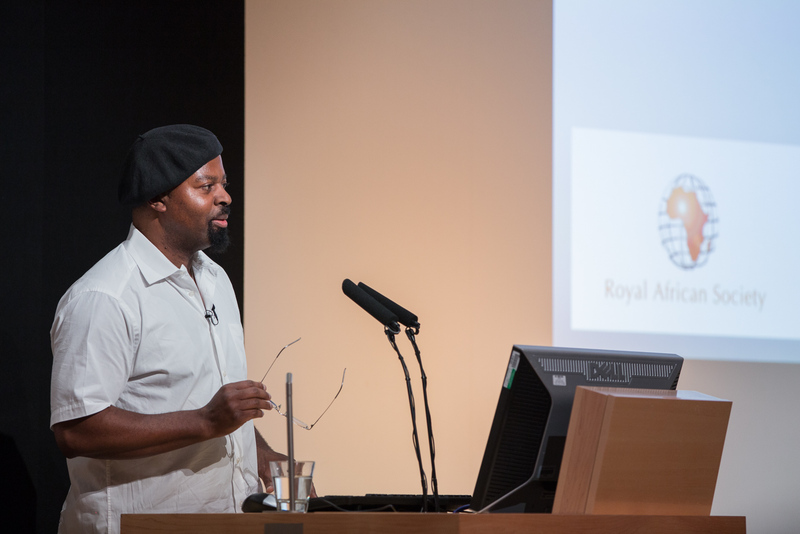 When Richard Dowden, Director of the Royal African Society, introduced Okri and his host Ellah Wakatama Allfrey, “the most eminent African literary person in London together with Margaret Busby”, this impression of the title seemed to gain more credibility in my mind. But as Okri took to the podium and began by highlighting what an honour it was to be “in presence of young acclaimed writers” and “the future of literature”, my mind returned instead to his commending gesture in the photo with Aboulela. Addressing head on the title of the lecture as “a rather grandiose one for many people”, he soon unravelled the mystery. It turned out that Okri was actually here to give a talk about greatness and share his thoughts on this abstract and hard-to-define quality: a very challenging topic for a public talk. Having recently been reading his essay collection A Way of Being Free, I was immediately curious to see whether any of the issues surrounding creativity or the philosophical questions he addresses in that book had endured or continue to irk his imagination. 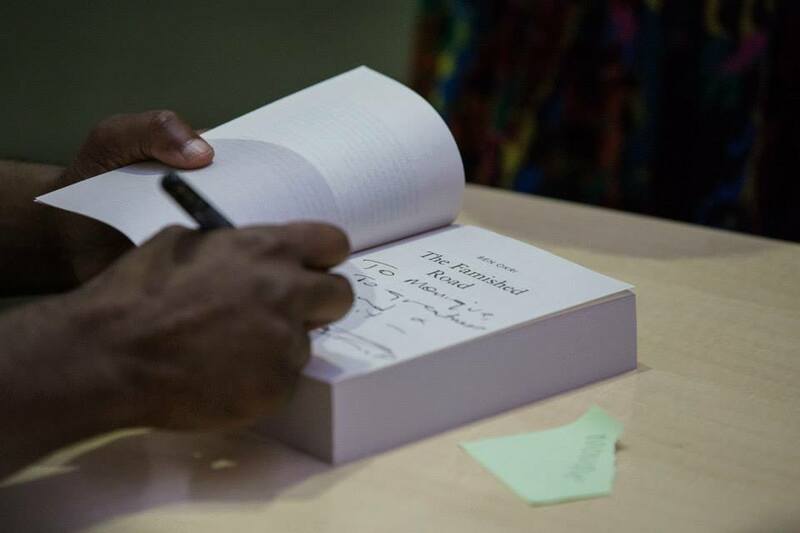 Okri observed that African writers are usually invited to talk about Boko Haram, corruption, poverty, disease but “nobody ever asks us to talk about beauty, harmony”, let alone greatness. In this context, he asked: “Do we have the right to talk about greatness?” Like the rest of the audience, I thought that this was a rhetorical question in preparation for his talk, but he repeated clarifying “this is a question to you!” In the tradition of orature in many communities on the African continent, Okri engaged with us very actively and, true to his introductory words, invited us into a joint dance, giving us the authority to stop him at any moment and end his talk. The responses at the beginning were quieter, but he repeated the question three times, until the collective response was a more confident, louder “yes!” As he proceeded with his talk, confronting the lack of confidence and skepticism of our personal calibre, I understood why Okri was adamant about generating a loud ‘yes’. It was to let our voices send a stronger message to our minds so that we believe it “in the mind” first – that yes, we have the right to think, dream, and be great. In short, in his “Meditations on Greatness,” Okri launched a well developed psychological and mental counterattack to decades of colonialist manipulation of the mind of African peoples, trampling on its perception of its sense of humanity and worthiness. In his preamble to the lecture, Okri said that it is lack of confidence that hinders our achievement. He ascribed this to the power of the image: “the images of success are not always about us,” explaining that the subconscious picks up images. To him, this lack of confidence is not a matter of colour, but of images. This reminded me of the cover images of the latest issue of Falmer, the University of Sussex’s magazine, with Lord Attenborough clad in a gleaming black evening suit, with gold ring and cufflinks on the front. On the back cover was a black African rural woman sitting on the ground with her shoes off, revealing feet consumed by podo disease. Apart from their relevance to the contents, the contrast between the two images for a casual onlooker is extreme. In such instances, Okri’s words, sadly, ring true. “Sadly”, he said, the world respects one thing, and that is not humanity, art, or even beauty: it respects power, stressing that Nigeria with its oil wealth, for example, could have claimed more power for itself. Citing such figures as Steve Biko and Malcolm X, Okri said that the time has come to transform the message of Malcolm X, and added that, “Christianity had to conquer Rome” and “Islam had to conquer Arabia” to illustrate his point that not only power but “enlightened power” is the only way to successfully undo “the subtle campaign to diminish black people.” Although Okri was mainly addressing Africans, I found his talk equally powerfully relevant to all peoples and groups who continue to be misrepresented through dissemination of blurred and deliberately negative images about them that, with mental manipulation and internalization, transform their own self-image and mentally consume them in the process. In a very clear voice and well-paced manner of presentation, Okri explained, “we can’t rely on human goodness” because “people continue their prejudices.” He warned that “Without power we are susceptible to mental manipulation” urging that we have to question everything even the self-evident, because only the free mind is resistant to image manipulation. He affirmed that it is through enlightened power and freeing the mind that we can reach our full potential and achieve greatness in its different ways and measures. I found it particularly interesting that he did not approach ‘greatness’ through historical figures. Unlike the Western European notion, he did not locate ‘greatness’ in the individual – although he began from the first man on earth in Africa – but in civilizations and nations starting from Egypt and then the Greeks and the Yoruba, drawing on a rich range of multicultural readings, citing philosophers, writers and political leaders from different parts of the world. When he mentioned Winston Churchill, noting that North Africa still haunts his reputation, I twitched remembering how the Bengal famine was calmly carrying on killing 3 million people while the late British Prime Minister was telling his Harvard audience that “the price of greatness is responsibility.” In Okri’s unflagging emphasis on freeing the mind, his own talk on 4th of July 2015 offers a historically ironic counter to Churchill’s Harvard speech in which he famously stated, “The empires of the future are the empires of the mind.” In this context, the importance and relevance of Okri’s public talk on mental manipulation and his insistence on resisting the “prevailing tendency to make us think small” could not be more pressing. To Okri, freeing the mind is achieved through cultivating its ability “to think sequentially and with great clarity.” This seems to be an intellectual project for him beyond this lecture, not only as he said he had been promoting clear thinking as a university department, but because previous essays, and what he describes as “aphorisms and fragments” attest to this preoccupation that goes as far back as 1989, especially in “The Human Race is Not Yet Free.” I could discern the continuity of ideas and the development of Okri as a thinker. I must admit I had arrived at the lecture with expectations to see an extension to the magical unsettling world of Azaro. I was surprised, instead, by that of Black Tyger in his solid rootedness to the ground as he persistently fights back in the boxing matches and proves his point despite so much skepticism and sneering. Black Tyger’s spirit in The Famished Road as in Songs of Enchantment is one of dreaming, thinking and training with rigorous and painful persistence – in the right direction – to live that dream. That was precisely the route to greatness that Okri charted and called upon his audience to pursue. What is especially remarkable about this talk is that it is an opening of a conversation rather than a conventional one-track lecture with a closure. Leaving the podium after an hour with a substantial number of pages of the lecture still unread, it left us with the electric charge that it sparked in our minds, and the cue to take over, reflecting and questioning. According to Okri, “Greatness is greater than perfection” because to him, greatness is never finished: “we still argue its meaning and value whereas perfection finishes, closes, completes.” He added that “just when we think we have fixed greatness in a statue or image, the statue moves and the image quivers.” However, I wonder if greatness and perfection are that different? Certainly they would be, if located in a human figure, but not in values, or abstractions. Because I cannot be perfect, I cannot ‘perfectly’ grasp perfection. Perfection to me is imperfect by virtue of its subjective conception in each person’s mind. Even perfection won’t gain unanimous agreement over its meaning. Even perfection is imperfectly envisioned, and there, it meets greatness. The Mind and/or the Body? 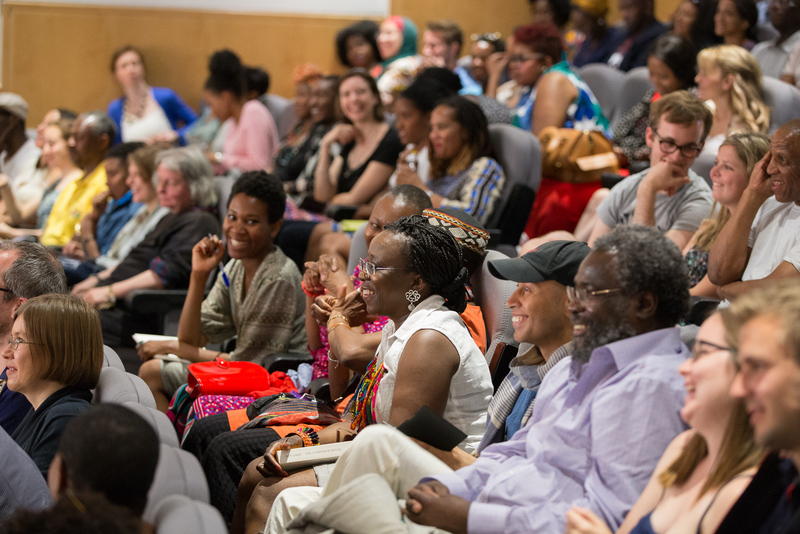 As a researcher interested in myth, I became all ears – but not without a body – when a member of the audience asked Okri if he thought religion continued to hold people, in Africa, back. Okri questioned the term ‘religion’ first, differentiating between animistic religion and the Abrahamic Christianity and Islam. According to him, the animistic religion in which the living, the dead, and the unborn make one connected and continuous whole, is liberating because it makes reality unlimited: “it frees one from the prison of the temporal.” He went on to say: “I think Christianity in Africa had a dual effect in terms of what it does to how we think,” explaining that it is a religion of humility that has “a reverse effect” on the people: “one that keeps you in your place.” In his view, Islam also has the same effect, although he commented that it would require another conference to fully discuss this question alone. From that moment till now, Okri has come a very long way. 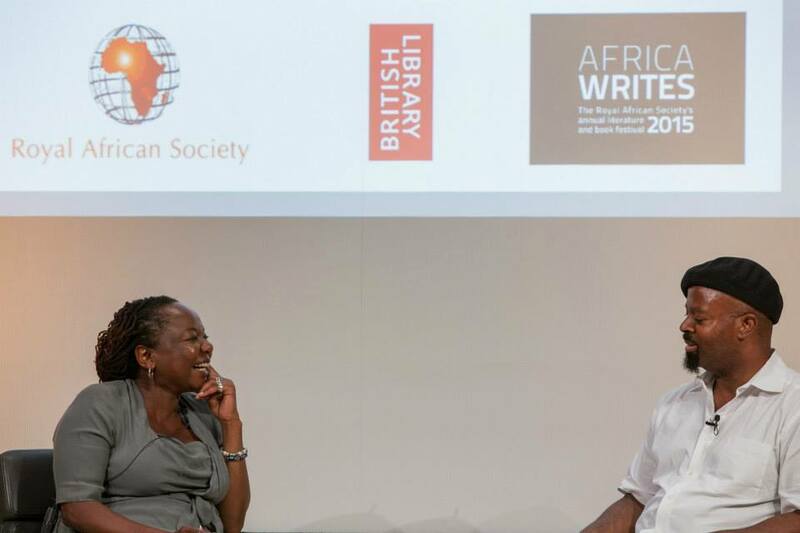 When he was introduced as one of the most distinguished black African writers in Britain, he immediately commented: “I just call it writer.” To me, this underscores the continuing obstacle posed by labelling creativity by colour, ethnicity and race. I wondered if Ian McEwan would be introduced as the ‘White European’ writer if he were to give a talk in an African country? This, in my view, is the predicament of the ‘African’ as well as the non-European, non-white, non-western, writer today. While their creativity and literary distinction is duly acknowledged, they are primarily read and approached for what is beyond the creative. It seems to me that their literatures are ‘showcased’ and ‘consumed’ for their ‘ethnic’ flavours rather than creative value despite the fact that they address the whole world. I find in Okri’s statement “The base of my meditation is to incarnate the idea, not just as a race, but as people, as a planet” this awareness of the transcendence of human intellectual qualities and the necessity to take part in the dynamic interaction of human cultural heritage that is not limited by or to race, ethnicity or location even when addressing African peoples in particular. In this, I see a realization of Goethe’s sense of Weltliteratur, in which the ‘world’ for Ben Okri is as extensive as the planet. This is why, it was important not only for Nigerians or black peoples but for all of us on the African continent to be forcefully shaken by Ben Okri’s “Meditations on Greatness” into turning to the mind. 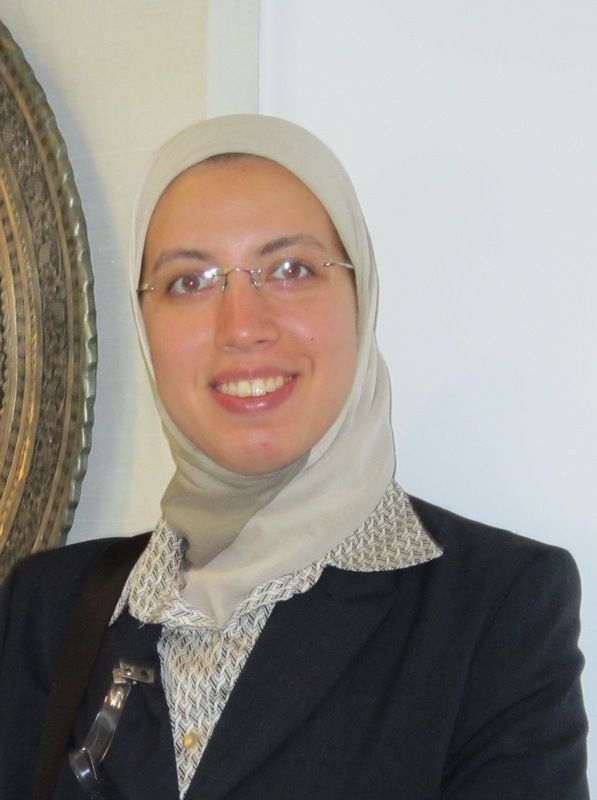 Réhab Abdelghany is Assistant Lecturer in the Department of English, Cairo University, and is currently PhD candidate in the School of English, University of Sussex, where she works on Nigerian, Egyptian-Nubian and New Zealand Maori literatures. She writes for Africa in Words, and previously wrote for several Anglophone newspapers and magazines in Egypt. An abridged version of this piece commissioned by Africa in Words was published yesterday in This Day and on sabinews.